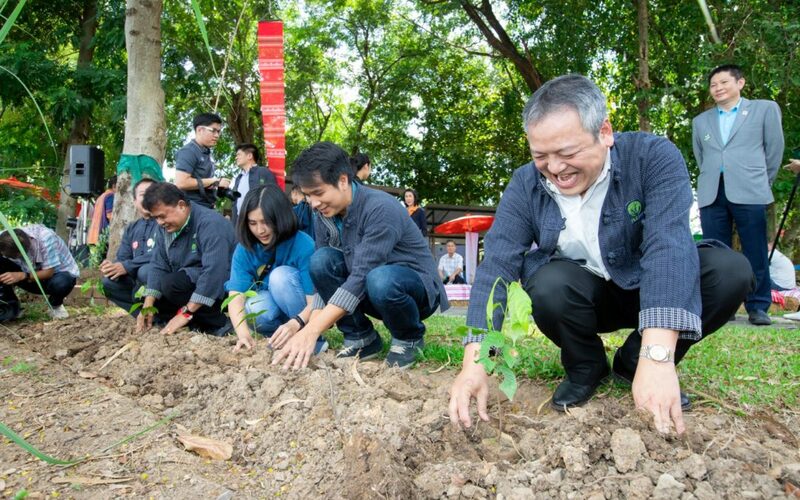 Based on the agroforestry strategy “Three Forests, Four Benefits” under His Majesty King Bhumibol Adulyadej’s “Sufficiency Economy Philosophy”, WWF-Thailand launched the forest restoration funding model “FLR349”. © WWF-Thailand, Tammarin Dejsupa. The model is designed to combine the restoration and protection of degraded headwater ecosystems with the eradication of social inequality. By taking away the externalities and risks related to deforestation, the funding model provides an incentivized social financial mechanism and helps promote sustainable markets for smallholder farmers to shift from monoculture production of maize to sustainable farming practices. 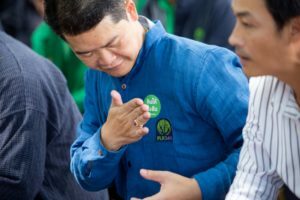 The landscape reforestation initiative is piloted in Song Tharn Village 1 (Mae Khee Mook), Baan Thub District, Mae Chaem Province, Chiang Mai, with 25 families participating, covering 135 rai of land. If land is dedicated to the ecological restoration of headwater streams, the funding model aims to pay 2,000 baht per rai on an annual basis to individual families for up to 5 years. The need for forest restoration and rehabilitation in Mae Chaem, Chiang Mai Province is high, with monoculture farming having been identified as one of the major drivers of deforestation and ecosystem degradation in the area. The model was developed by WWF-Thailand, Chiang Mai Social Enterprise (CSE), Bank of Agriculture and Agricultural Cooperatives (BAAC), Thai Organic Agriculture Foundation (TOF), Agricultural and Food Marketing Association for Asia and the Pacific (AFMA), with technical support from the Thailand Development Research Institute Foundation (TDRI), the National Science and Technology Development Agency (NSTDA) under the Government of Thailand, and The Center for People and Forests (RECOFCT). The FLR349 funding model serves to advise farmers on ways to successfully shift from chemical-intensive farming practices to sustainable farming under the “Three Forests, Four Benefits” principle that highlights the key roles of forests as producers of diverse, sustainable foods, and carbon sinks that mitigate climate change. It promotes a diversity of income sources and production modes as a sustainable strategy to secure economic needs, community livelihoods and most importantly, freedom from a fractured food supply chain. The plantation of perennial trees and a diverse variety of food crops grown with sustainable farming practices can contribute greatly to a food system that is self-sufficient and profitable to farmers. In the case of Mae Chaem, the produce will be sold to a social enterprise that will determine a fair, fixed price and decide which local food markets will receive the food.